Orange Sunrise Rotarians joined others from Rotary District 5320 at the Outdoor Education Center for “Workability Day” on June 2, 2010. Students and Rotarians participated in team and self-esteem building games and sports activities, including rope courses and archery. 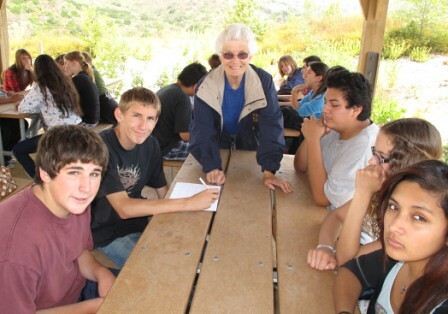 Orange Sunrise Rotarian Sue Hayes gets to know some of the students. This entry was posted in Youth Service on June 2, 2010 by Rae.